Put your stake in the ground and settle on what you really want. You’re running in circles and putting your energy all over the place. That’s not going to get things done that need to be completed. Stop for a moment and focus. Ask yourself, what is it that I really want mid-range and long-term! Don’t ask others what to do, you must answer the question for yourself. The answer should give you direction for where to direct all your untapped energy! Being scattered creates struggle, allowing you to become weak and creating animosity around you. You’ve had enough of that in your life. Stake your territory and surround yourself with those who will support your work and effort. Those that don’t back you, don’t need to be in your life. It’s that simple. Even if you’ve been working on a plan you desire, double check your To Do list. Have you allowed fear or trepidation to hold you back from getting something done? Have you permitted the fears of someone else to put doubts in your own head? The nay sayers will not be happy when you reach your goal and accomplish your dreams. They simply find something else to put down or degrade. Those that say nothing, aren’t being supportive either. Their quiet passive aggression still creates negative energy that impacts your thinking and choices. 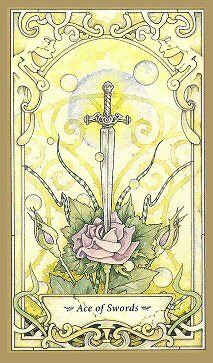 If part of the problem with your scattered energy is the lack of interactive encouragement and backing, then part of your problem today might be the anchors that are holding you back. Turn things around. Don’t “ground” your energies in the dirt, balance them. Let yourself rise up to get a better view, while still holding onto the physical work that needs to be done. Allow yourself to see beyond the boundaries and across the way. You’ll see what resides upon each path before you and that will help make better decisions for which way to go. But before you choose a direction to take, make sure what’s at the end of that road is really where YOU want to be. You could be creating struggles along your journey, because the destination isn’t where you really wanted to go. Be cautious about settling for less because fear is keeping you from what you want. You might waste energy and spin your wheels trying to get out of the rut you’ve created. Or you might generate animosity from others, because you were all talk and no action. What do YOU want? Where do you want to take your adventure? You’re the travel master, so decide once and for all where you’re going. Stick to your plan and allow it to be fluid and expand with creative suggestions, positive input and ideas from those who are supportive and fill you with encouragement. Let the winds help you guide your ship and expand your horizons with ease and confidence.